are slightly more expensive than the popular strong neodymium magnets, with a slightly weaker magnetic field strength. 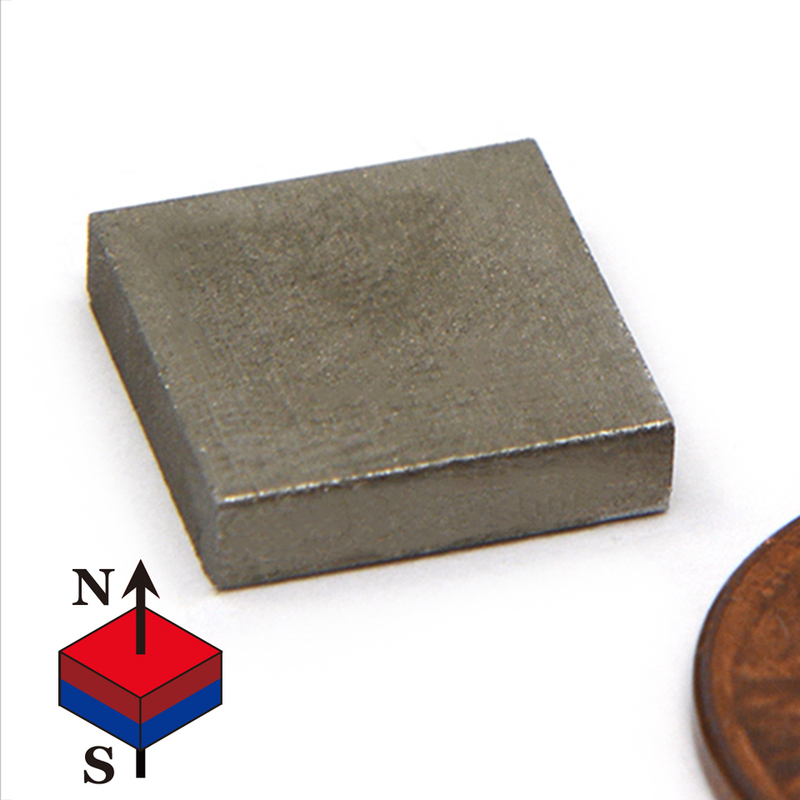 However, SmCo magnets are the best choice for many applications due to their superior ability to retain their magnetic strength at high temperatures. Powerful Samarium Cobalt magnets are also far more resistant to corrosion and oxidation than other rare earth magnets, so they do not require protective coatings. However, these magnets must be handled with care because they are brittle and may crack or chip. Call now and order your Samarium Cobalt Magnets today! SmCo magnets are ideal for use in servo motors, space probes and satellites, switches, couplings, relays, sensors, headphones, microphones, and many other applications where extreme high or low temperatures or corrosion are factors. CMS Magnetics & Magnets for Sale carry SmCo magnets in a wide range of sizes and shapes, including blocks, bars, cubes, discs, and cylinders. Contact us if you need samarium cobalt magnets in a custom grade or size.